I got stuck on Instagram. From on site to another I spent almost an hour looking at all those amazing lives. I knew Facebook was provoking some envy, but on Instagram everyone is above average. Even the girl that is burned out and unlucky in love, seems to be having the time of her life in a jetset like environment. Everything just looks so much better through a filter! Social media never really appealed to me, I don’t dislike it, but for me it is just too distant from the truth of life. The slow, difficult, intimate and the vulnerable parts of life are hardly ever seen. But as I began this blog I’ve been thinking a lot about it. And even I started to occasionally use the filter on my iphone. On this blog I also tend to lean towards what I know from the internet, how we communicate about our lives, making an advertisement of oneself. But it is not why I started this blog. One of the reasons was that I could find so little day-to-day information about modern people. Everything seems to be brushed off. I want to hear the real stories about how people feel and struggle with everything there is. I am tired of the stereotypes of fantastic lives. In the end you don’t know what’s real anymore. You will start to see your own life through a filter, or worse, through other people’s eyes. 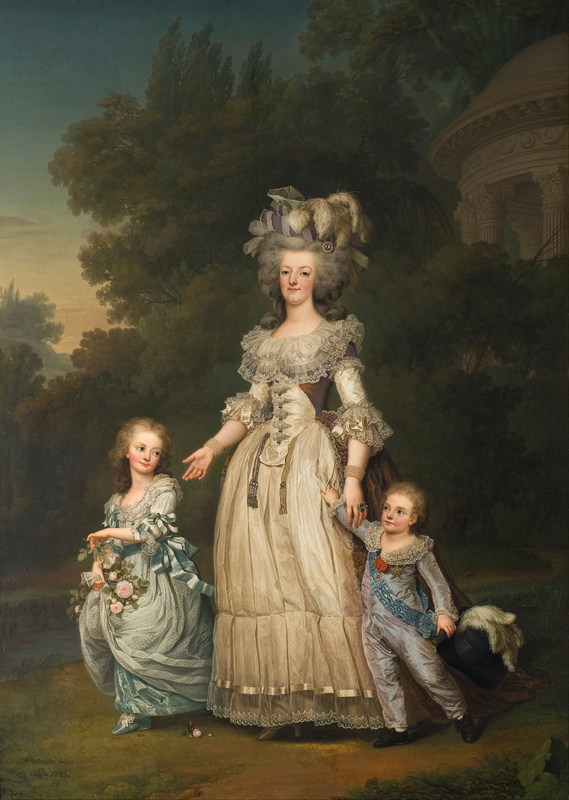 Marie-Thérèse Charlotte with her mother, Marie Antoinette, and brother Louis Joseph, Dauphin of France, in the Petit Trianon’s gardens, by Adolf Ulrik Wertmüller (1785).